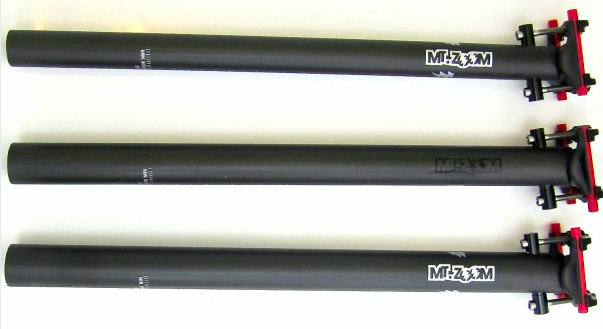 MT ZOOM Ultralight Carbon Fibre Seatposts 27.2mm, 30.9mm or 31.6mm x 420mm long Straight/Inline/0 degree offset. Premium ultralight MT ZOOM carbon seatposts. Full High Modulus UD carbon with titanium bolts. Throughly tested to EN standards and on the trail. No rider weight limit. - Supplied with spare bolt & carbon paste (Use the carbon paste on the lower section of the post in the frame to eliminate slippage). - Measuring height markings, silver logo on 27.2 & 31.6, black logo on 30.9. 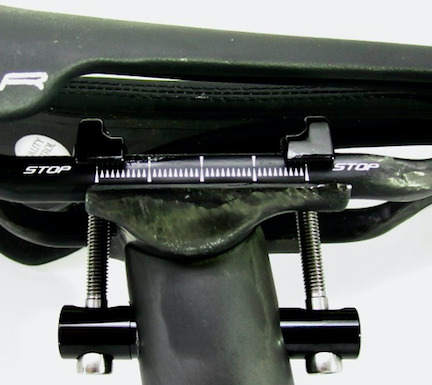 Note we have 25mm offset/layback versions of the 27.2 and 31.6 post on another listing.